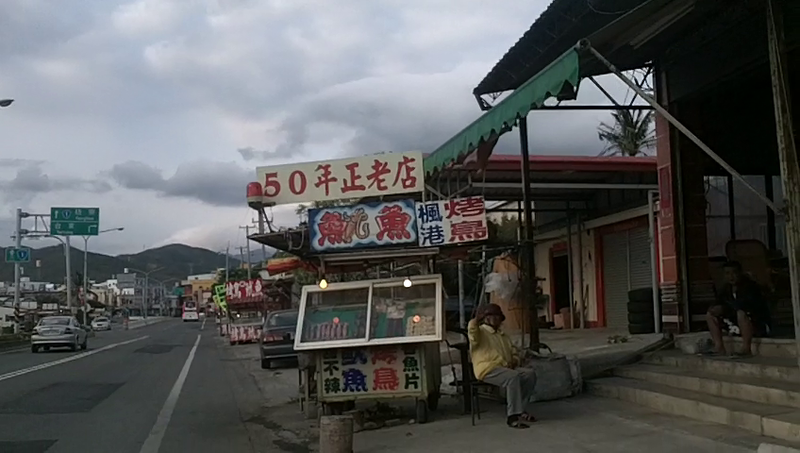 The town of Fenggang used to be notorious for grilling passing by wings of migration. Nowadays, they grill quails instead. My previous visit was right after my return from more than a decade of absence. I thought the vendor's accent was strange. Now I know she was most likely to be an immigrant. I picked this vendor this time. First of all, the stand claimed to be fifty years old. Sencondly, the display was covered by a glass window. The operator was an elder lady. NT$80 a stick, with two birds. I inquired the price once more as I shopped for Thousand-Year-Old eggs later. Both places asked for the same price. As we chewed away the birds, a car slowly pulled by. As the old lady approached to greet the potential customer, the car sped up and drove to the next stand. The old lady said "The operator of that stand has only one arm. I do not know how she grill her birds." I wonder which is their real merchandise: good deeds or great taste?